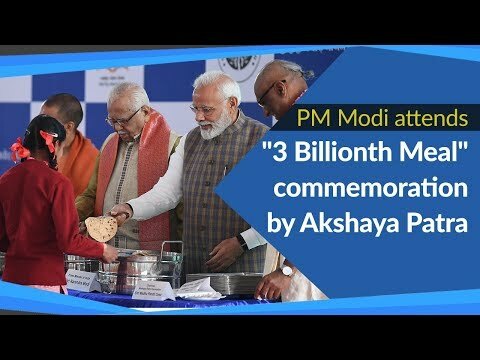 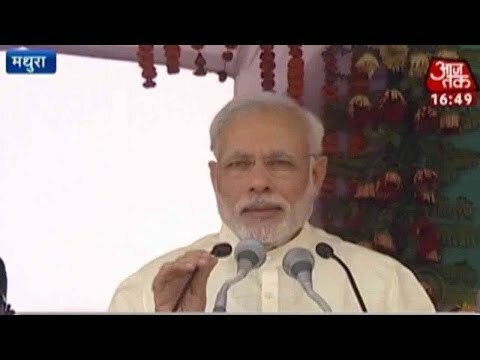 Indian PM Narendra Modi marked his one year in office by addressing a mega rally in Mathura, where he listed out the achievements of Modi government. 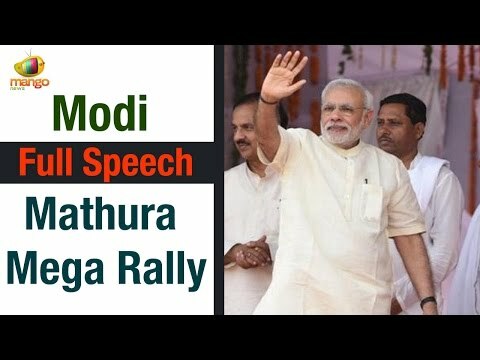 Prime Minister Narendra Modi will begin his party's celebration of its first year in power at the Centre with a mega rally in Mathura. 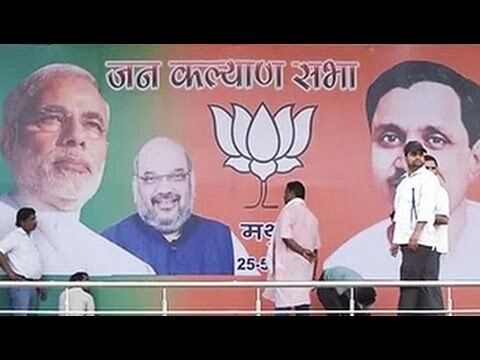 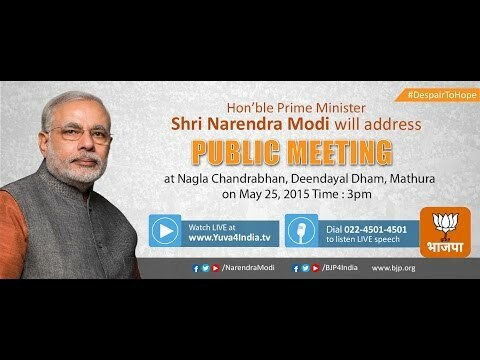 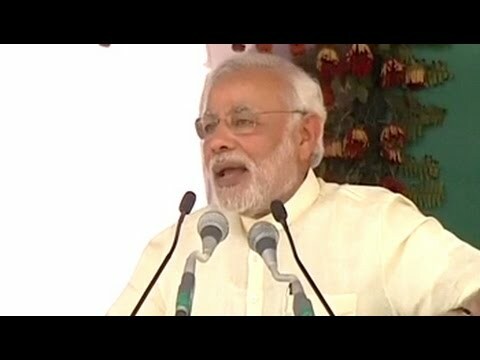 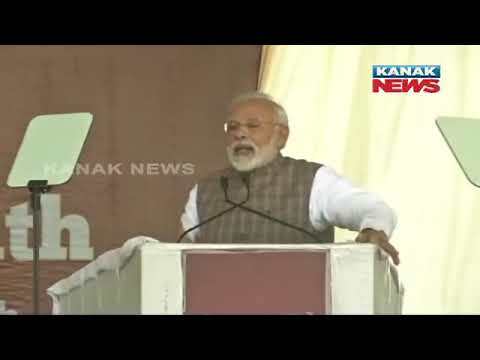 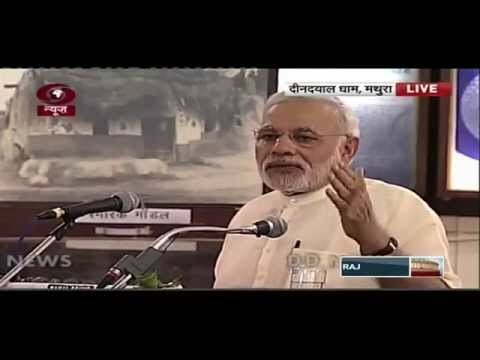 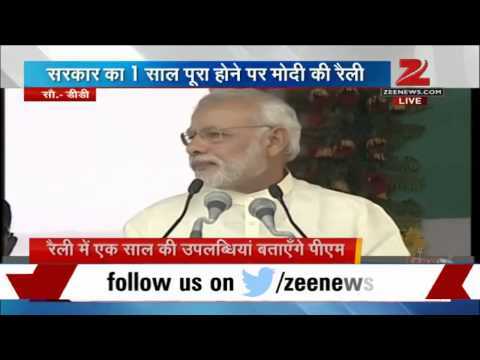 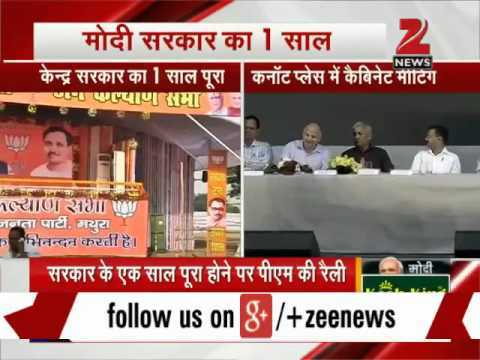 Prime Minister Narendra Modi addresses 'Jan Kalyan Sabha' in Mathura. 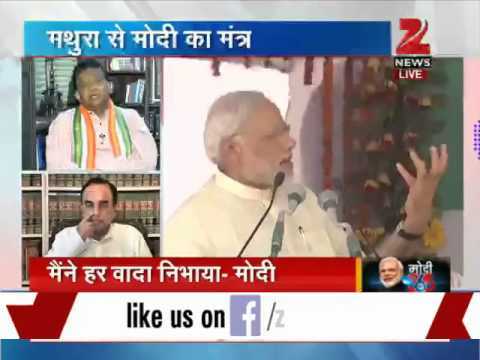 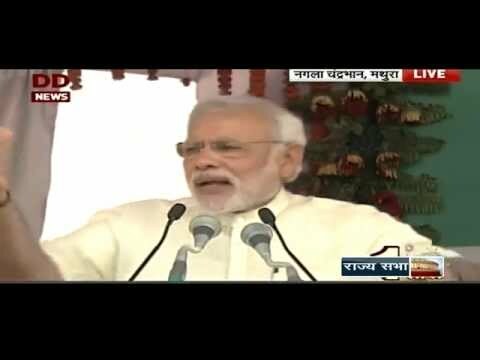 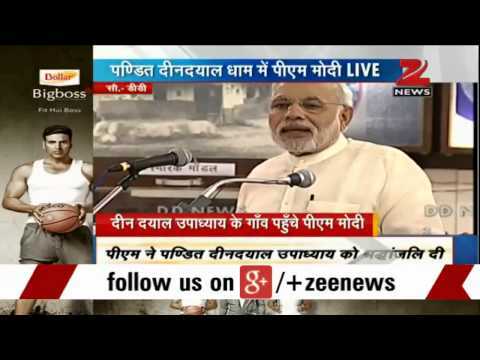 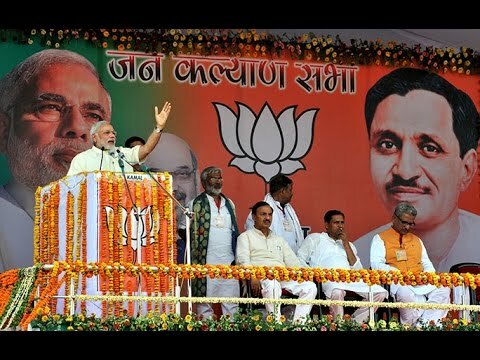 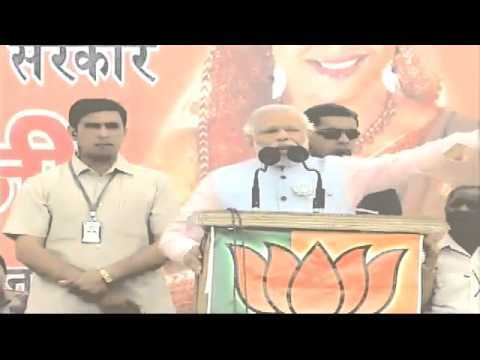 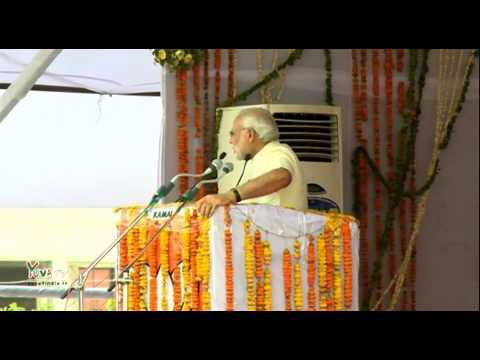 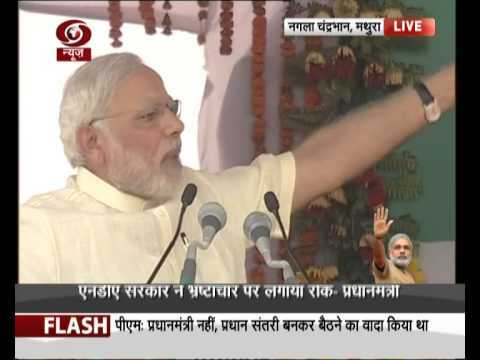 Shri Narendra Modi addressing "Bharat Vijay" rally in Mathura, Uttar Pradesh. 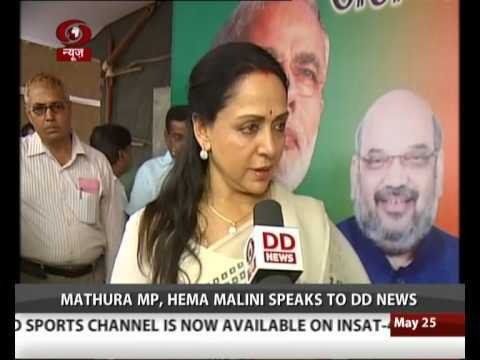 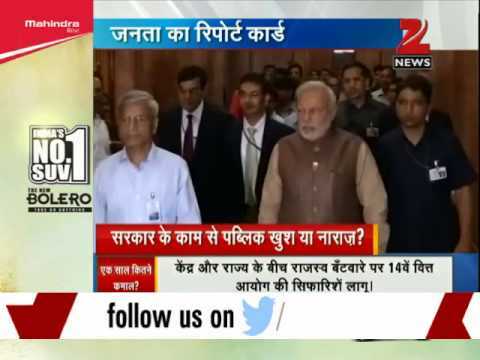 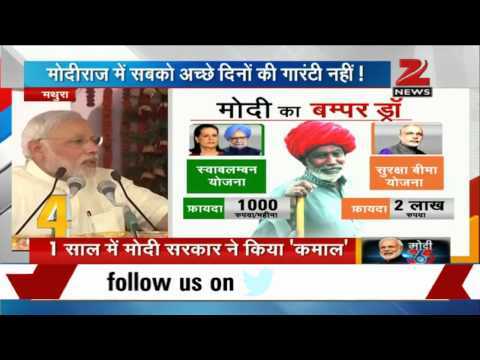 BJP MP Hema Malini speaks to DD News before PM Narendra Modi's visit to Mathura. 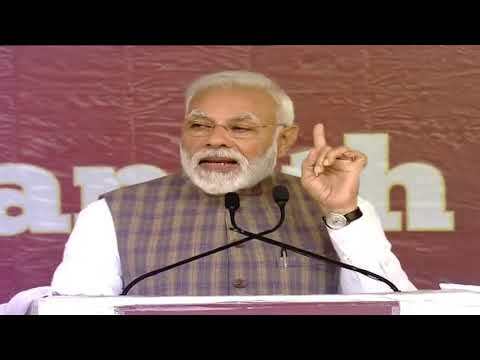 Prime Minister Narendra Modi arrived in Mathura on Monday to address a rally to mark the first anniversary of the BJP-led NDA Government at the Centre.